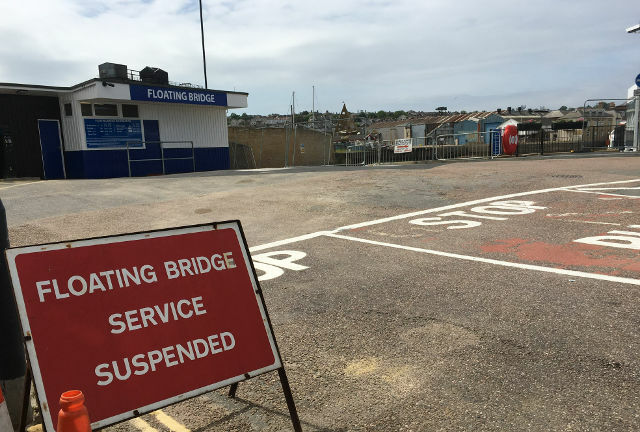 The Cowes floating bridge will be out of service on Thursday 21 March from 12 noon to 5pm to enable Wight Shipyard to undertake trials to inform further improvements to the operation of the vessel. The trials will focus on maintaining a minimum depth water over the vessel’s chains at all states of the tide. 4 Comments on "Floating Bridge going out of service for ‘improvement’ trials on Thursday"
The Floating Bridge – A license to sink money!